Q1. Which of the following types of cards is free from credit risk? Sol. A debit card a safe, convenient, risk-free alternative to cash and has no credit risks attached. Sol. Definition of the traditional economy: A type of economy that still uses various means of social support. Some feel that this may be out of date and thus refer to it as a traditional economy. Q3. In the field of banking, what does ADF stand for? Sol. The Automated Data Flow (ADF) is a unique initiation by RBI aimed at the purpose of meeting the needs for the accurate and consistent flow of data. Automated Data Flow ensures that the data submitted from the banks to Reserve Bank of India is correct and consistent without any kind of manual intervention. Q4. What is the duration of Public Provident Fund (PPF) account? Sol. A PPF account matures in 15 years, but you can extend the tenure in blocks of five years after maturity. The balance continues to earn interest at the normal rate. The minimum investment of Rs 500 has to be maintained even for accounts extended beyond 15 years. Sol. KYC guidelines/instructions are issued under Prevention of Money laundering Act PMLA, 2002. Sol. 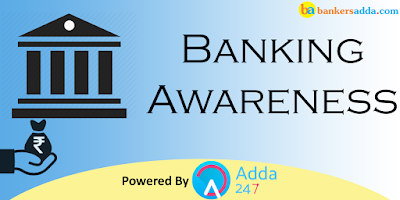 As per Section 5(b) of the Banking Regulation Act, 1949, “banking” means the accepting, for the purpose of lending or investment, of deposits of money from the public, repayable on demand or otherwise, and withdraw-able by cheque, draft, order or otherwise. Q8. Which of the following is governed by the provisions of Section 42 (1) of the Reserve Bank of India Act, 1934? Sol. The National Sample Survey Organisation (NSSO), now known as National Sample Survey Office, is an organization under the Ministry of Statistics and Programme Implementation of the Government of India. It is the largest organisation in India conducting regular socio-economic surveys. Q11. The Reserve Bank of India (RBI) has granted “in-principle” approval to the ________ applicants to set up small finance banks under the “Guidelines for Licensing of Small Finance Banks? Sol. The Reserve Bank of India (RBI) has decided to grant “in-principle” approval to the following 10 applicants to set up small finance banks under the “Guidelines for Licensing of Small Finance Banks in the private sector” (Guidelines) issued on November 27, 2014. Sol. The minimum paid-up equity capital for small finance banks shall be Rs. 100 crore. Q13. Reserve Bank of India has granted the in-principle licence for small finance banks. The in-principle approval granted by RBI will be valid for a period of ________ months. Sol. Reserve Bank of India has granted the in-principle licence for small finance banks to ten entities. The in-principle approval granted by RBI will be valid for a period of 18 months. Q14. Where is the headquarter of AU Small Finance Bank? Sol. Jaipur, Rajasthan is headquartered of AU Small Finance Bank. Q15. RBI was granted a licence to small Finance Banks for the commencement of banking business under Section ______ of the Banking Regulation Act, 1949. Sol. RBI was granted a licence to small Finance Banks for the commencement of banking business under Section 22(1) of the Banking Regulation Act, 1949.